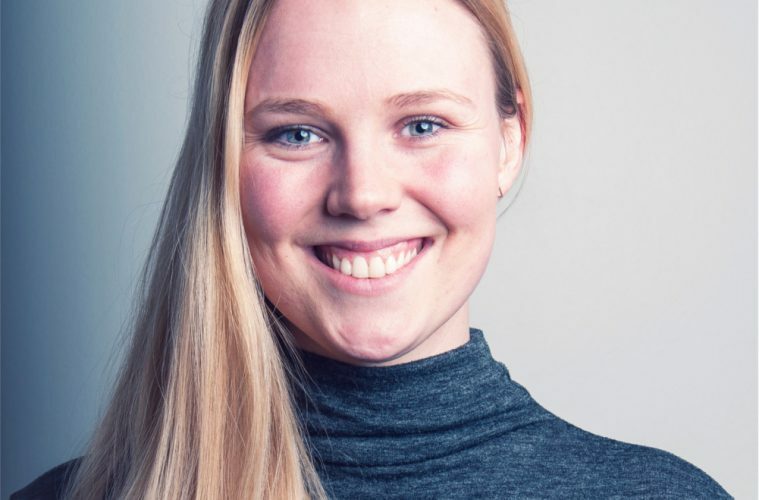 The Icelandic National Queer Organization, Samtökin ’78, has a new chair, a young bisexal woman, a linguist and a mother by the name of Þorbjörg Þorvaldsdóttir. Þorbjörg Þorvaldsdóttir, the new chair of the national queer organization Samtökin ’78, here taking part in the Reykjavík Pride Parade. 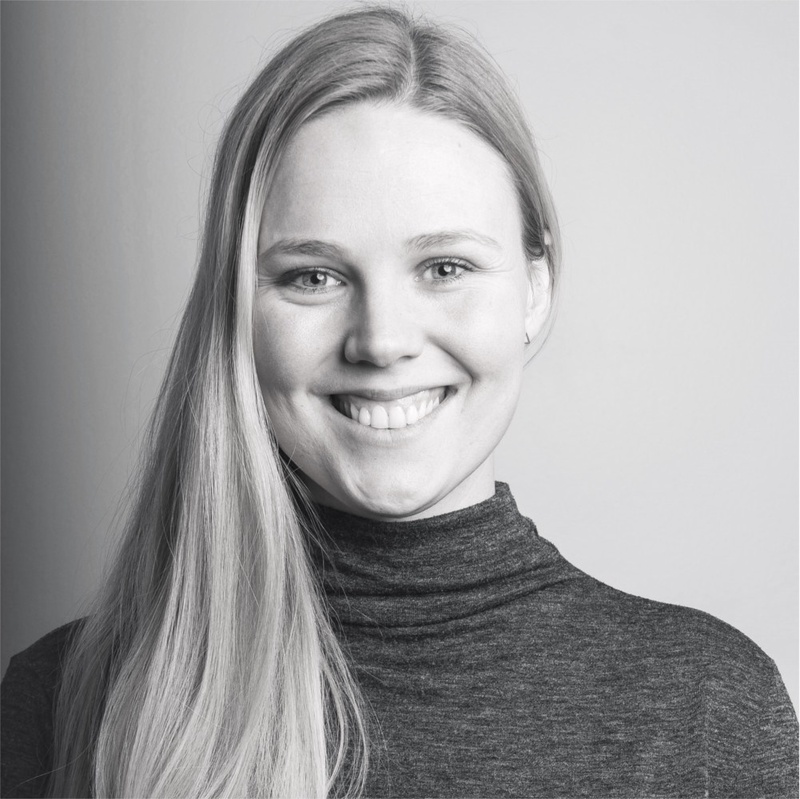 But who is she, were does she come from and what are the biggest challenges she will be facing as the chair of Samtökin ’78? 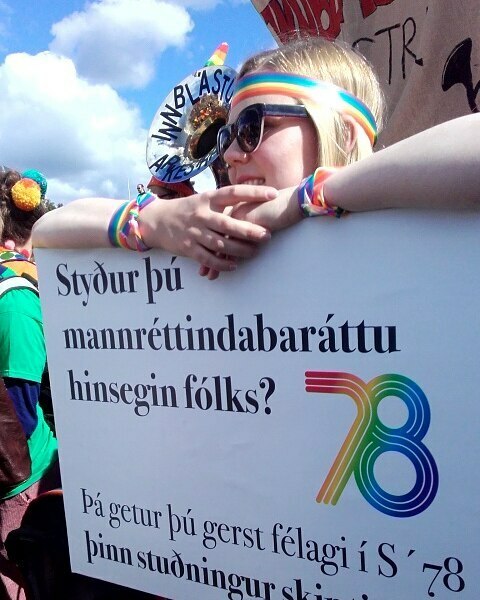 GayIceland contacted Þorbjörg to get answers to those questions and the first one was simply: Who are you? What are your feelings regarding your new position as chair of Samtökin ’78? Have you been involved in the work of Samtökin ’78 before? What do you consider the biggest challenges you’ll be facing in this job? What are the big issues and what will you emphasize in your work as chair of the organisation? “I want Samtökin ’78 to mature and expand, and the challenge there lies in maintaining a close connection with the grassroots while also allowing Samtökin to grow to its full potential. Another huge challenge is simply making sure that Iceland does not suffer a backlash in queer acceptance and rights as we have seen happen in countries around us. Right now, for example, a bill that will allow more hate speech has been presented in parliament. We have been very vocal in our opposition to those changes, of course, especially in light of the fact that there is next to nothing being done to combat hate speech or hate crimes in Iceland. Another bill that we are following closely is a bill on trans and intersex rights. This legislation, when passed, will improve the lives of trans and intersex people considerably. It will make changes in gender registration and official name change much easier, and give trans people access to medical care without having to first be diagnosed with a mental illness. It is a very important step forward. At the same time, the authorities decided not to include protections for intersex children against normalizing surgeries and other unnecessary medical interventions, which were present in earlier drafts. We are extremely disappointed by that, and sincerely hope that the bill will be corrected as it passes through parliament. What I think is ever-important, and that we need to focus on the most, is queer education. Educating people about what it means to be queer is the most efficient way to combat prejudice and increase acceptance. We’ve come a long way here in Iceland, but there are still so many spheres of society that we need to reach. One of our goals is that all people who complete university education in subjects that prepare students for working with people, such as becoming teachers, doctors, police officers and psychologists, will receive training on how to address queer issues. This would be incredibly beneficial for both the professionals themselves and queer people in Iceland. It’s very important to know that you will not be met with prejudice when you seek e.g. police assistance or when you need medical care. Samtökin ‘78 also need to push for improvements with regards to legal protection and assistance for queer asylum seekers. Queer people who seek asylum here in Iceland are being deported back to countries where their lives are in danger simply for being who they are. This is absolutely unacceptable. Another issue that will become more and more pressing in the coming years has to do with queer senior citizens. We need to have a plan in place to make sure that people will not have to hide who they are as they grow older and need assistance at home or move into nursing homes. Again, I believe that educating professionals is a key factor in ensuring this doesn’t happen.